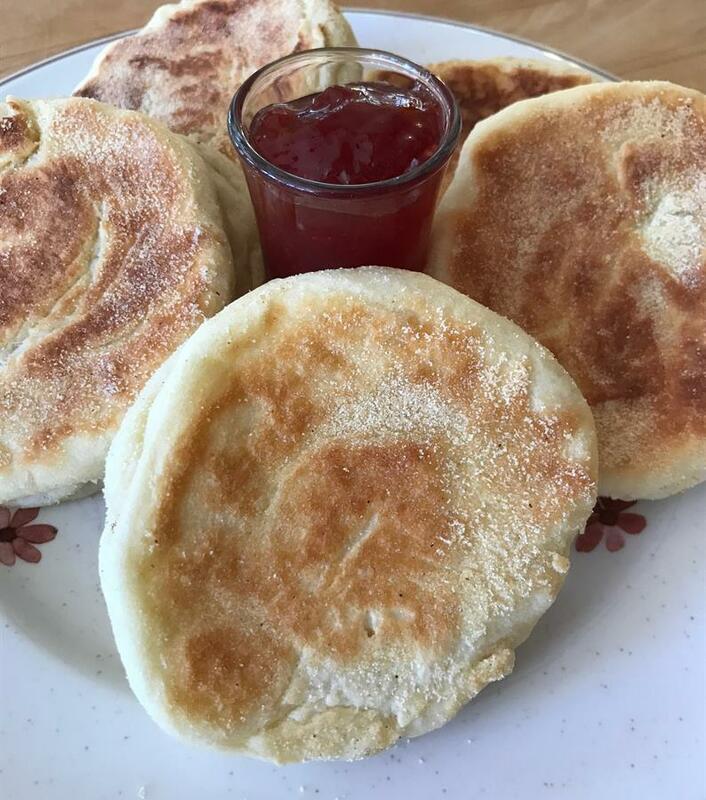 Make your own English muffins — why not? The process isn’t difficult. And the result is out of this world. A chewy sour buttery comfort food that are wonderful toasted or warmed as in the meal we will make out of our freshly made muffins, an egg, bacon and cheese breakfast sandwich.